Lisa graduated from the University of Otago Dental School In 1985. Her first two years post graduation were spent working as a dental house surgeon for what was the Auckland Area Health Board. Here she gained experience in dental trauma. She also looked after the dental health of medically compromised adults and children from a wide range of cultures and backgrounds. Following that Lisa spent several years working in dental practices in Mt Eden, Remuera, Glen Innes and Devonport, interspersed with some overseas travel. In 2005 Lisa had the opportunity to purchase Eden Dental Centre, a practice she had worked part time in since starting a family. Lisa is passionate about helping patients to achieve and maintain healthy teeth and gums for life. Her focus is on comprehensive care, involving her patients in the decisions around their treatment. All this is achieved in a friendly caring environment with the support of her wonderful team. 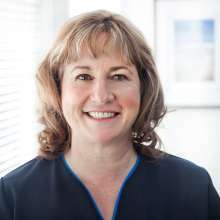 Lisa is an active member of the New Zealand Dental Association , the Auckland Dental Association and the New Zealand Academy of Cosmetic Dentistry, regularly attending meetings and courses. She is committed to keeping abreast of the latest technology and developments. Married to Adam for 22 years, they have 2 adult daughters and a granddaughter. In her spare time Lisa enjoys skiing, and spending time with her family . She also enjoys mentoring new graduates. Tania graduated from Otago dental school in 1984. Initially she worked on the North Shore in private practice before buying her own practice in Pt Chevalier. The pressures of family meant she sold that in 2001 and worked part time in the central city. Then 2 very happy years were spent in Central Otago working part-time in a rural practice in Alexandra. Returning to Auckland, Eden Dental Centre is the right place to practice general dentistry again. 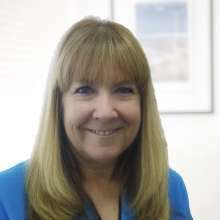 Tania has also worked as a clinical examiner in 2 large scale studies carried out by the Ministry of Health, namely the Oral Health Survey in 2009 and the Study of Older People's Oral Health in 2012. She is interested in research in general and is studying part-time for a qualification in dental public health. 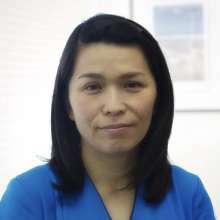 She is also President until February 2019 of the Auckland Dental Association and is involved in the teaching of young dentists in the area of intravenous sedation. Clinically, she is interested in giving 2nd opinions, especially in complex treatment plans. She also offers intravenous sedation which is an excellent option for anxious patients or those who need surgical procedures. Smita Keshoor became a member of our team here at Eden Dental Centre in 2014. She is a qualified Oral Health Therapist who graduated from The Auckland University of Technology in 2009. Smita specialises in scaling and polishing of teeth and keeping dental disease at bay. She loves to work with people of all ages and aiming to achieve excellent oral health for all. Karen has been involved in the dental industry for more than 35 years: for the last 22 we have been lucky to have her at Eden Dental Centre. Karen began her career as a dental assistant but since joining us she has been our receptionist and now our practice manager. Karen is the friendly face that will greet you when you walk through our door. Her wealth of experience and her ability to communicate well with people means that she is well suited to her role. Karen will have you relaxed and chatting in no time and she can answer most of your questions from the queries about your dental treatment to payment plan options. 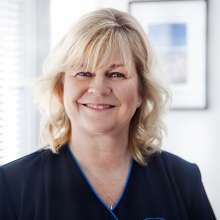 Sue is our most experienced dental assistant. She joined Eden Dental Centre in 2010 and works with Lisa. She has many years of experience in dental assisting. She worked for 19 years with her previous dentist and intends to spend the next 19 years working with Lisa. Sue is a very caring person, she has a heart of gold. She will help to put you at ease and she enjoys interacting with people of all ages. In her spare time Sue is a gourmet cook and she regularly bakes for the practice. We are always happy to sample her cooking and we have the expanding waistlines to prove it. Sue has 2 adult daughters and believe it or not she is also a grandmother.She loves to spoil her 5 grandchildren and regularly has them to stay. Sue loves to walk for fitness and she travels regularly to Adelaide to visit one daughter who lives there. On Thursday and Friday afternoons you will also find Sue covering reception and answering the phone. Kaz is a very important member of our dental team and joined Eden Dental Centre in 2014. Kaz moved here from Japan in 2004. Kaz had been working in a dental laboratory as an Administrator / Receptionist for the previous 6 years but has always wanted to become a Dental Assistant. Kaz feels she is very fortunate to be working at our clinic, and we feel very fortunate to have her as part of our team too. Kaz is interested in maintaining a healthy diet and feels she has become more health conscious since moving to NZ. You will mostly see Kaz working with Dr Tania Stuart.